On a recent trip to Miami, I decided to eat like a normal person. Yes, that’s right, I left my camera behind for an entire week even though I had some pretty scenic meals by the pool side as well as delicious plates at The Bazaar. It was a very tough thing for me to do and by the time Sunday rolled around, I have had enough. Luckily, we stumbled onto a pretty awesome spot that was very worthy of some long overdue photo snapping. 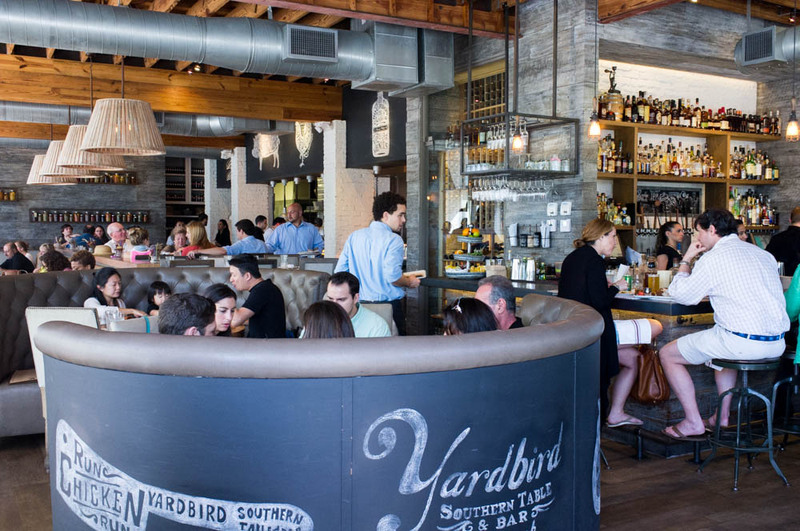 The Yardbird is located off of the main strip of South Beach’s Collins Avenue with a large sun-drenched dining room (what isn’t sun-drenched in beautiful Miami?). 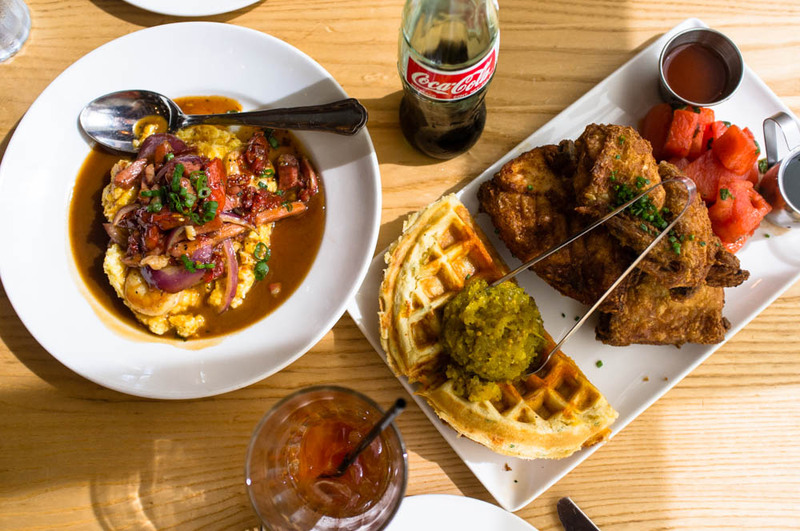 I had a good feeling the second I walked into the packed restaurant that was buzzing with Sunday brunch goers sharing some fabulous looking dishes. Everything here is made to be shared family style which in my opinion is the best way to go explore a new menu in one single visit. 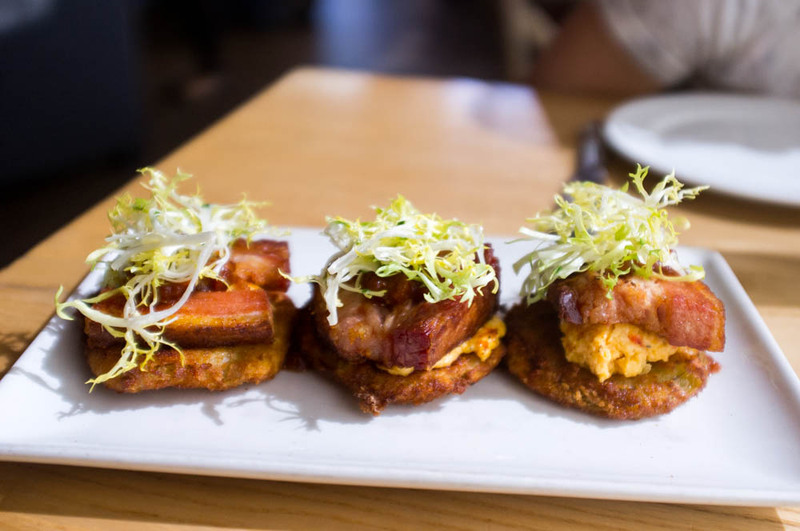 To start, we shared a few bites from the appetizer section relying mostly on the guidance of our cheerful waiter with a pronounce Southern drawl which made us trust him almost immediately. The fried green tomato BLT came in a set of three, perfect for SB, JL and me to share. 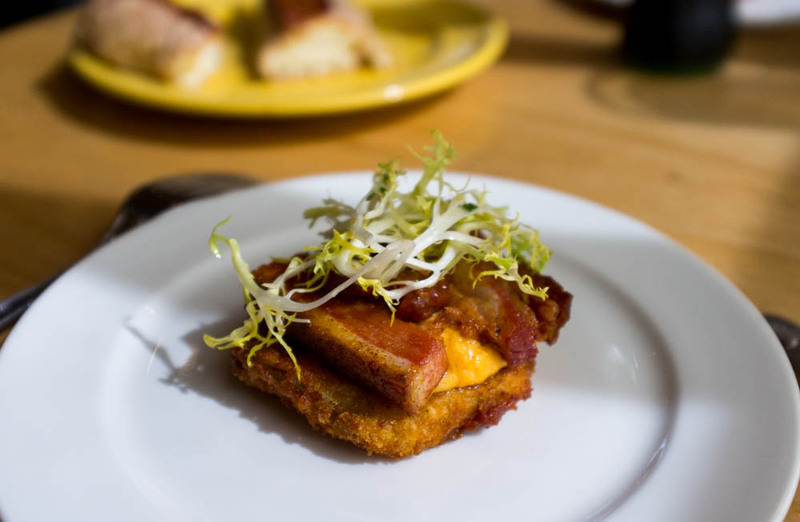 Crispy fried green tomatoes created a base for the deliciously lightly fried pork belly with a house-made pimento cheese and tomato jam to hold it all together. One bite and we all shared the same look of bliss and happiness that made it pretty clear that we were in for a treat. 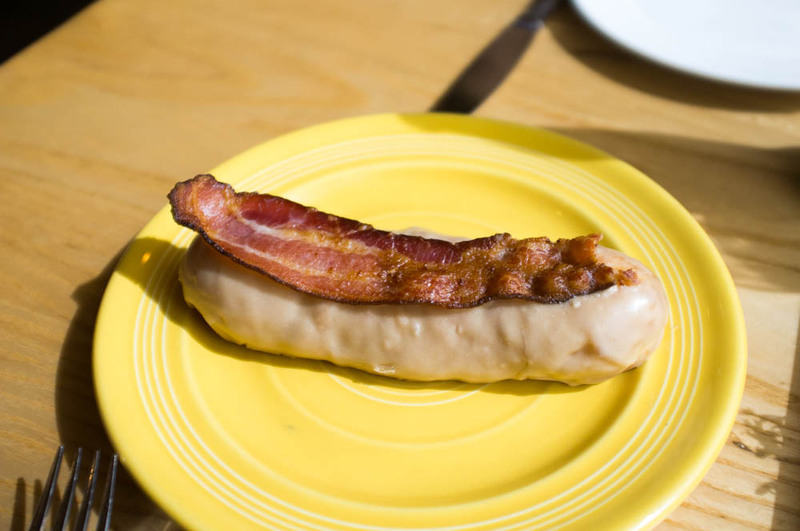 With the guidance of the server, we went for the maple glazed bacon doughnut. I will not deny that I was a little disappointed at how plain the doughnut looked when it first arrived. It looked like any other maple bar with a piece of bacon on top. 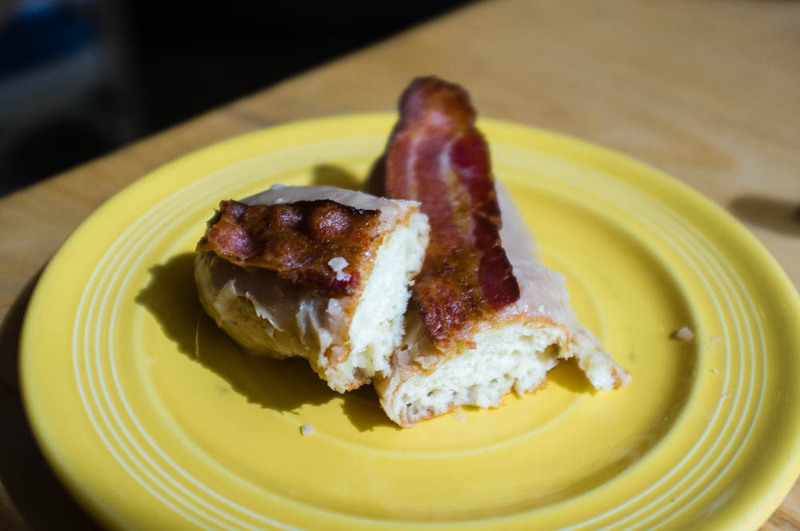 Fortunately, our server has good taste and this was one to savor slowly as you rip into the pillowy soft dough and fight for each piece to have that perfect balance of sweetness of the maple glaze and crunchy saltiness of the bacon. 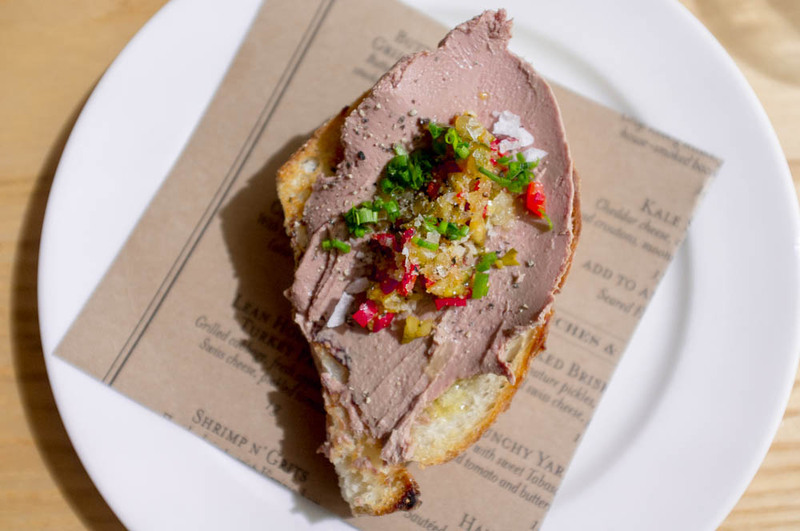 An order of the country chicken liver toast might seem like a bit of an odd choice for brunch but boy was this delicious. 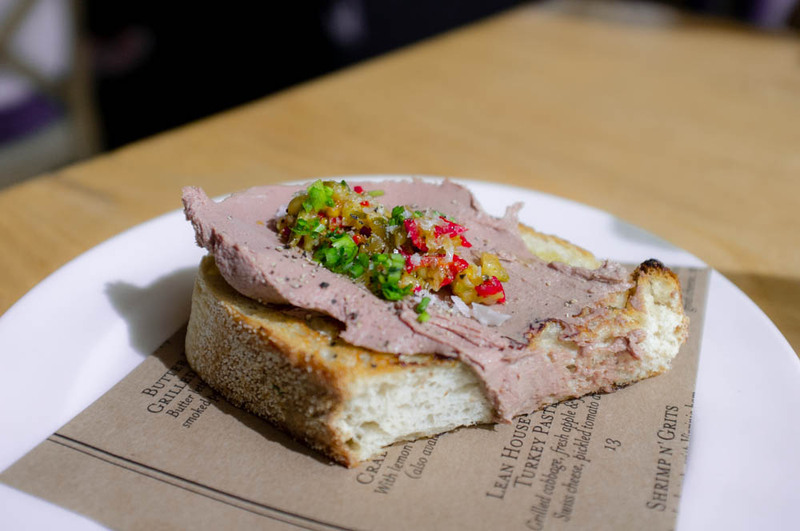 The liver was whipped into an airy mousse and slathered generously on top of a piece of chewy country toast. The little dollop of cucumber and fresno pepper relish added a nice vinegary bite to the satiny sweet mousse. And finally, we were ready for the entrees. When we were told that the locals all clamored for one particular dish that was taken off after a few months on the menu, we were curious. What could it be that had everyone so up in arms that they had to bring it back as a secret off the menu item? 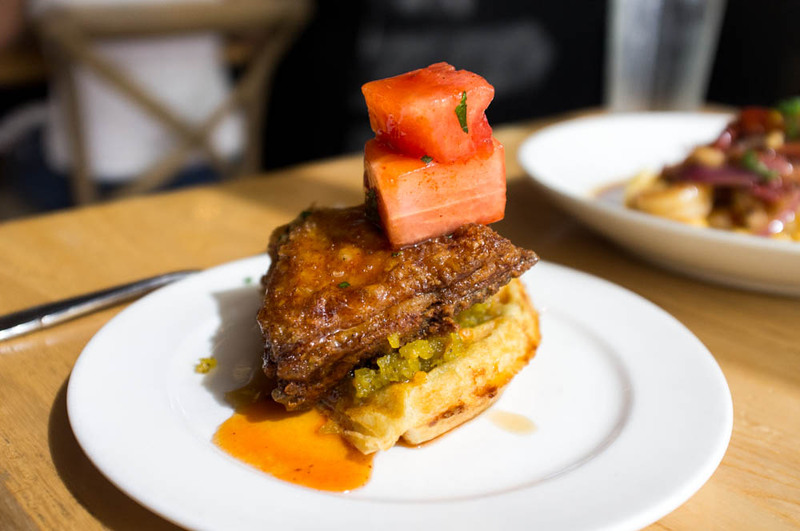 It should come at no surprise that it was a good old plate of fried chicken with waffles and a side of chilled watermelon spiced with pepper and lemon and herbs. The order came with a half chicken made with a 27-hour recipe and served with a side of Tabasco honey like it should always be. The large fluffy waffles was accompanied by a bourbon spiked syrup and a scoop of vinegary green tomato chow chow. There was really nothing to not like this giant plate of some of the best items on the menu at Yardbird. And the only other thing as Southern than chicken and waffles was a plate of shrimp and grits. 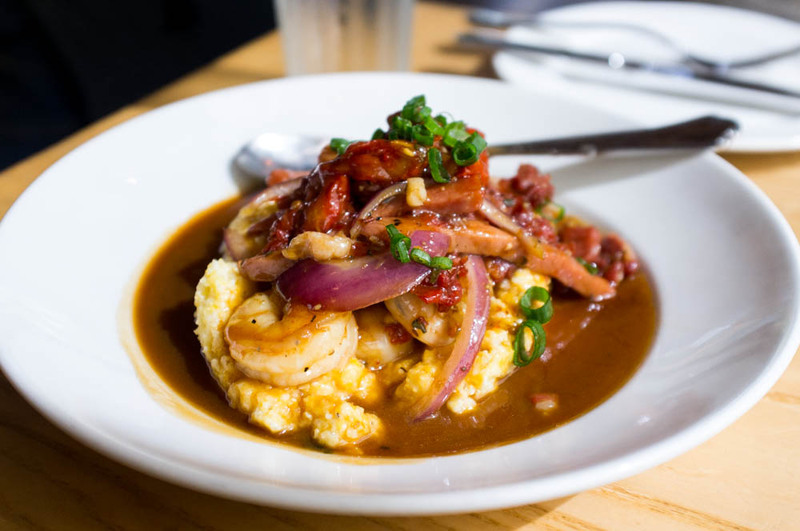 The grits at Yardbird was topped with crispy Virginia ham and plump Virginia shrimp in a deep gravy. The grits themselves had a lovely sweet bite that paired so well with the salty gravy. I will admit that we neglected the plate a little as we worked our way through the large platter of fried chicken and waffles but if this had been the only entree, we would have been just as satisfied. 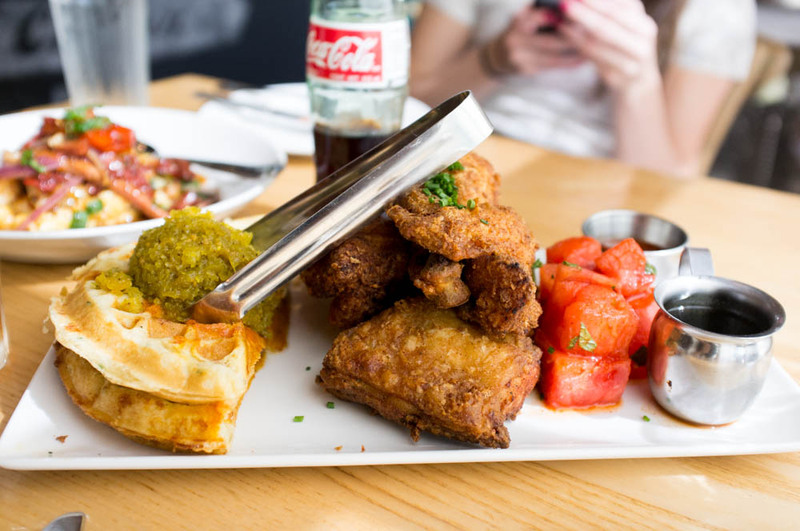 A final look at our table filled with delicious eats with a classic bottle of coca-cola and ice tea. Even though I have no photo to show but I promise you that we devoured everything here and I was happy to have my camera in hand once again table side. Now how about that for ending a week in the sun on a wonderfully delicious note.